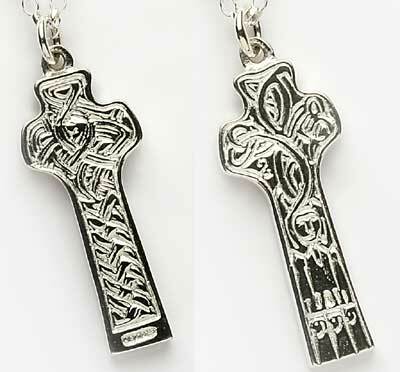 Beautiful Celtic Cross Pendant handmade in sterling silver or gold faithfully captures all authentic detail of the original Cross of St. Patrick Carndonagh. 30mm high and 11mm wide. 3g silver weight. 3.5g gold weight. With 18 inch chain. been established by St. Patrick himself. clear who they may be. 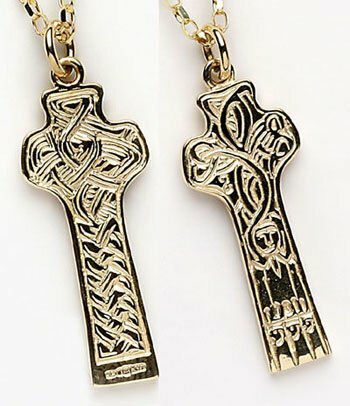 Celtic Cross of St. Patrick Carndonagh recreated in beautiful detail in this Irish jewelry piece.